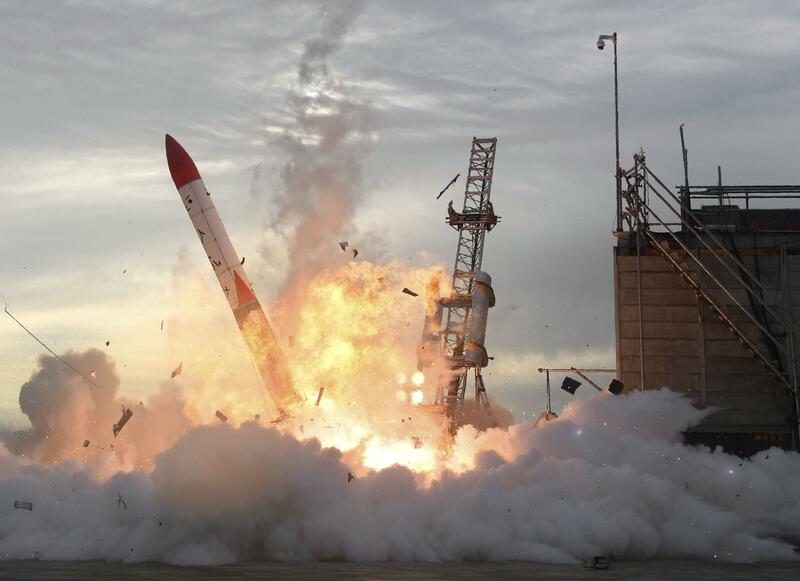 TOKYO – A rocket developed by a Japanese startup company burst into flames seconds after a failed liftoff Saturday in northern Japan. The MOMO-2 rocket, developed by Interstellar Technologies, was launched in Taiki town on Hokkaido, Japan’s northernmost main island. It was supposed to reach as high as 62 miles into space. Television footage showed that the 33-foot pencil rocket lifted only slightly from its launch pad before dropping to the ground, disappearing in a fireball. Footage on NHK public television showed a charred rocket lying on the ground. Saturday’s failure was the second after the rocket’s first launch last July. Published: June 30, 2018, 9:03 a.m. Updated: June 30, 2018, 9:10 p.m.